Dominica, cross-country skiing, and Olympic tourism. 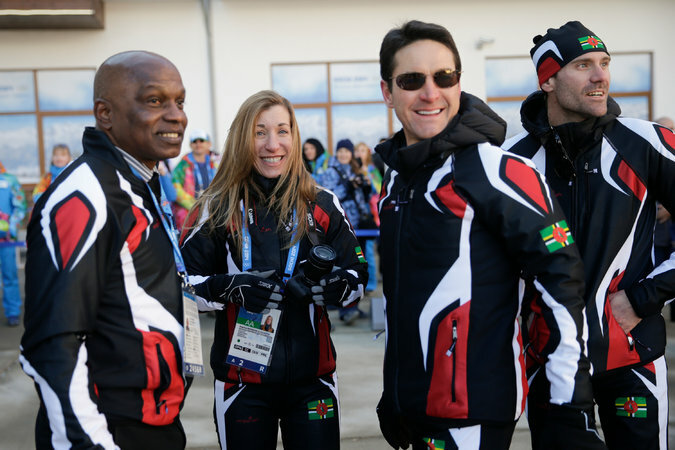 When Dominica, a tiny Caribbean nation, makes its Winter Olympic debut on Friday, the cross-country skier carrying its flag at the opening ceremony will be a wealthy former investment fund manager from Staten Island who never tried cross-country skiing until after his 30th birthday, Christopher Clarey reports for The New York Times. Now, after an intricate chain of events and a great deal of paperwork and world travel, Gary di Silvestri is a first-time Olympian at 47. “Our story is different, definitely different,” di Silvestri said in an interview from Montana last week before arriving in Sochi. The story includes his Italian-born wife, Angelica Morrone di Silvestri. At 48, she is the other member of the first Winter Olympic team from Dominica and is about to become the oldest woman to compete in Olympic cross-country skiing, far surpassing Norway’s Hilde Gjermundshaug, who was 41 in Turin in 2006. Le Conseil Guadeloupéen Pour les Langues Indiennes est en train de mettre à jour son site. Allez y jeter un coup d’oeil!